A new variation on our capacity to lose goals from corners. It's felt like a distinct possibility for a while, but I now truly believe it's going to happen. Falkirk have just scored too. A Partick goal now would well and truly f*ck us. Can't see us getting anything from the next 3 games. Shite. What a record against Alloa this season. Thats us done. 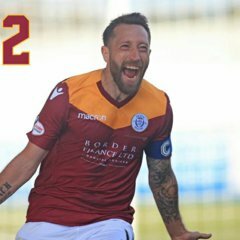 Dobbie for 60 goals in league 1 next year? Fantastic result lads - hope you stay up! Naysmith should have been binned long ago. Not sure why he is still there. Now too late to make any difference. Our board should hang their heads in shame - first of all for the panic stricken way in which he was appointed in the first place, then giving him a two and a half year contract based on not very much, then not sacking him when it became apparent he wasn’t up to the job. I blame Naysmith for this fiasco, but the real culprits are his bosses. You dont think the players take some of the responsibility ? Well done Alloa. Awesome turn around. Keep it going. 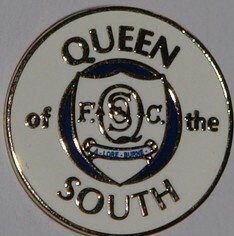 Some run by Alloa, deservedly staying up you'd have to say. I wouldn't get ahead of yourself. Will he still be here? As a fan of a small club in a league full of bigger teams, I'm rooting for Alloa to stay up. Fantastic run you guys are on. Anyway, well done to Alloa. 4 wins in a row at this stage of the season is brilliant. He has taken us to the depths and brink of relegation. Has made mistake after mistake and made us worse since he came in so YES he should have been binned long ago. He talks a good game but cannot carry that on to the pitch. No doubt he will say AGAIN that we dominated but just could not score but that we will get a break soon. Just heard 1 win in 11 and that we have only won 8 games all season. Appalling record that does not merit still being in the job. AJ should have been brought in after we lost at home to Inverness. Maybe more people will now see through this guy and realise it is not about what you say but what you do. Absolute joke of a club from top to bottom. Serious question: would anyone be willing to pay Dobbies wages in League 1?